It's definitely a party all women will love if this gem of a game is on the agenda. Who doesn't love chocolate? After a couple of drinks, this game is difficult to play, and that's what makes it so amusing! Ever tried cutting chocolate cubes with a knife and fork? Well there's a first time for everything! 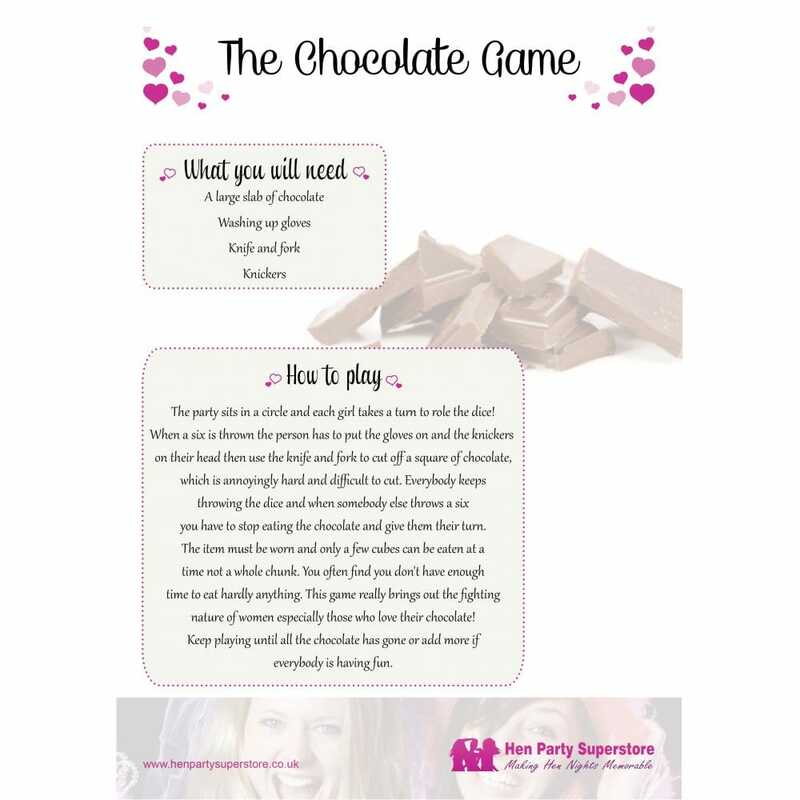 Download, print, and play at your Hen Party.